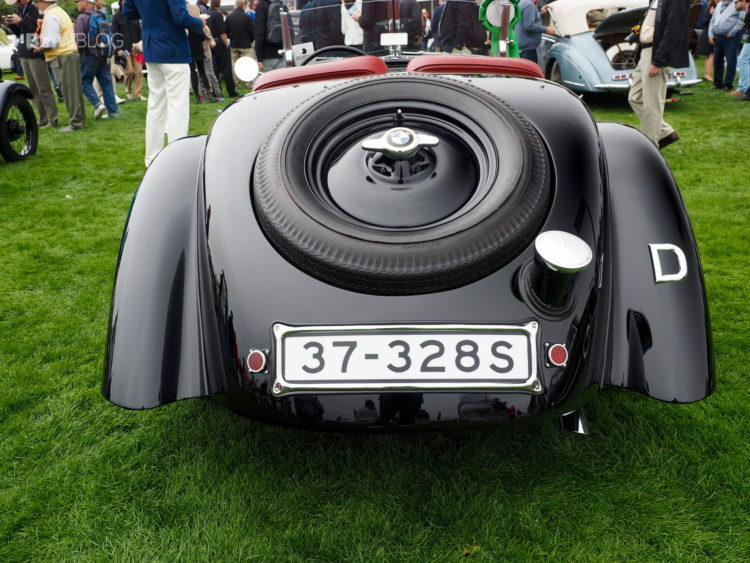 BMW’s image today – that of an automaker that builds sports cars, premium cars, technical and very innovative – goes back in time until 1930, when cars like BMW 328 Roadster came to life. 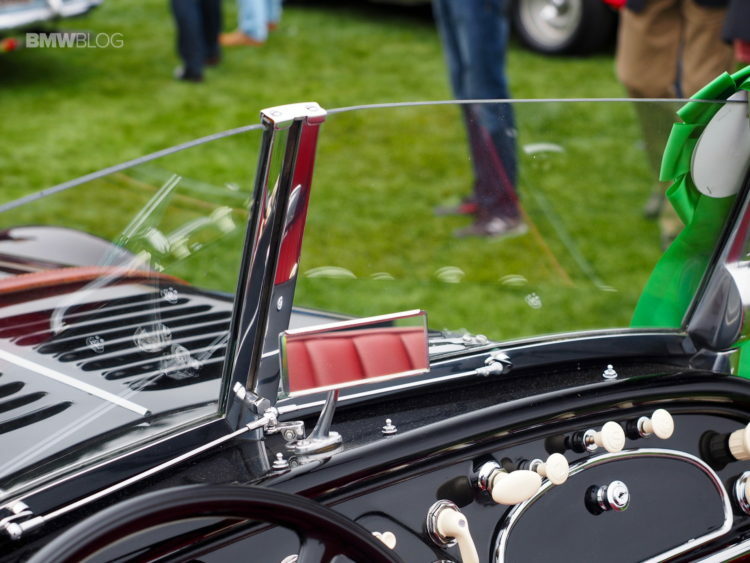 The 328 Roadster raced in Mille Miglia and it was a very innovative car with respect to aerodynamics. A lot of the elements that were on that car at that time are important today as well. 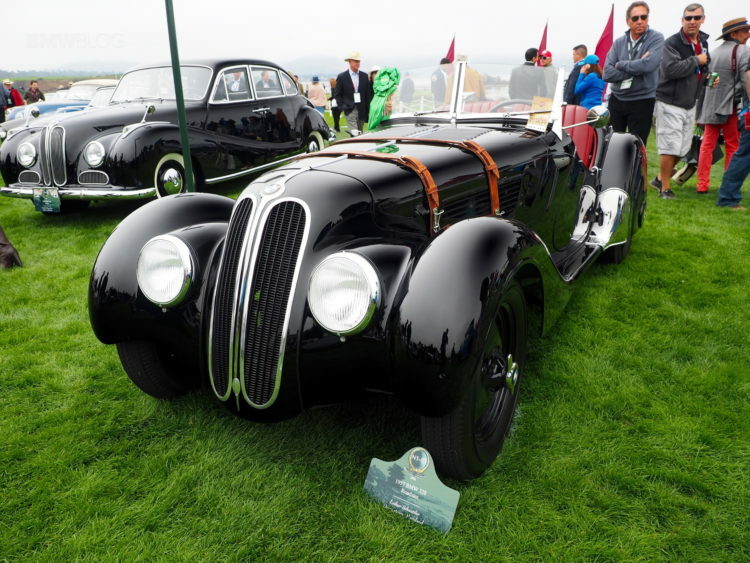 Built between 1936 and 1940, the BMW 328 laid down a milestone in automotive history and was the most successful sports car of the 1930s on the racing scene. At a time when powerful supercharged “Kompressor” machines ruled the racing roost, the BMW 328 Roadster – weighing just 780 kilograms and developing a modest 80 horsepower in series production form – was considered one of the best racing cars one could buy. 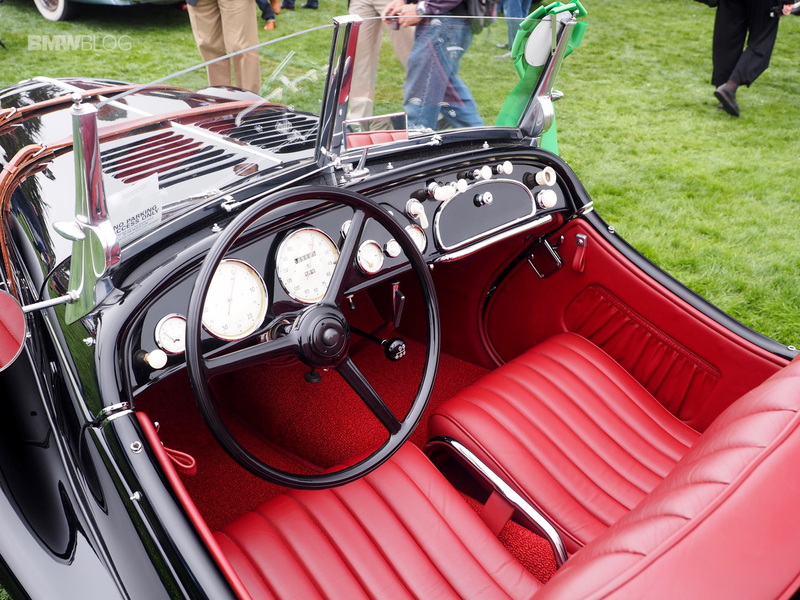 The Roadster version, whose arrival was to revolutionize the sports car world over the subsequent two years, was unveiled almost as an after-thought, without drum roll or glitzy presentation. 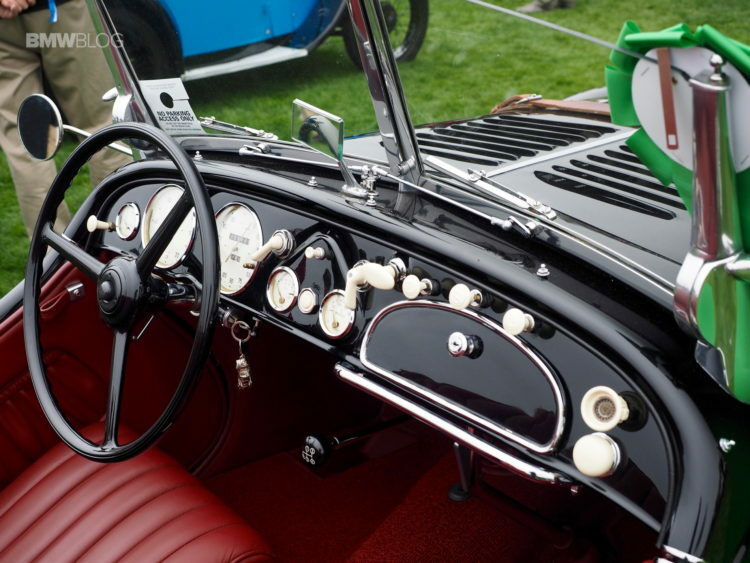 Of the 464 examples of the BMW 328 ever built, only around 200 have survived, some 120 of which are in Germany. 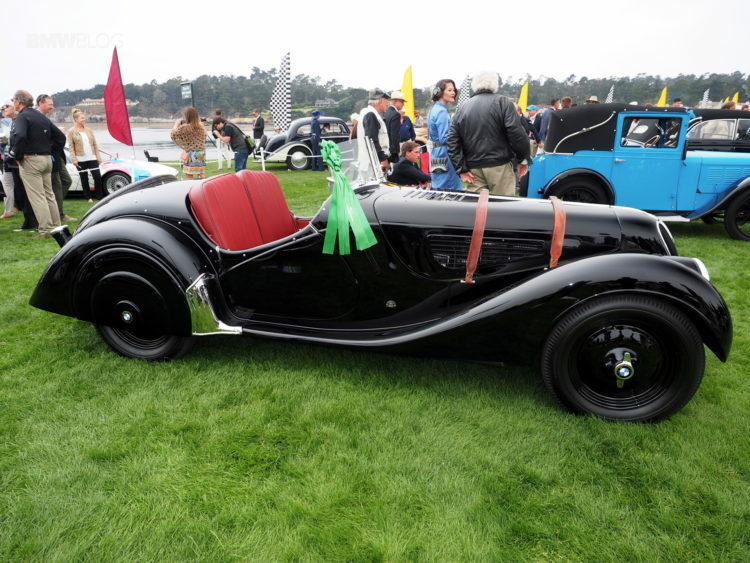 And one of them found its way to Pebble Beach last week for the annual Concours d’Elegance. 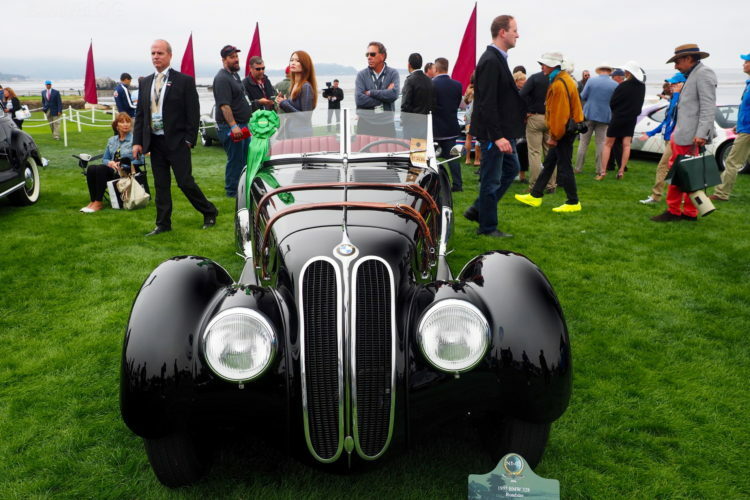 BMWBLOG team was on site to snap some photos of this beautiful roadster which often sells for close to a million dollars.